Gillian Wong juggles her vice presidency of the Australian Corporate Lawyers Association (ACLA) with her job as the manager legal at St Barbara Limited. She takes five minutes out to tell Australasian Lawyer about her take on the industry. I enjoy helping others. Being a lawyer gives me a chance to help others every day – whether it’s helping people to understand their legal rights and obligations, responding to a crisis, or being part of the commercial team on a transaction or project. How long have you worked at St Barbara Limited and ACLA, and what brought you to both of these positions? I’ve worked at St Barbara for 3 ½ years and have been involved with ACLA for over 8 years. With St Barbara, I was really attracted to working in the mining industry because I enjoy working with technical experts such as mining engineers and geologists. Australia is one of the largest gold producing countries in the world and has a great history and expertise in gold mining, so it’s great to be part of that, albeit from a legal perspective. My involvement with ACLA has been incredibly rewarding both as part of the Victorian State Committee and as a director of the National Board. I am a firm believer in the importance of the in-house legal profession as part of the legal profession as well as the corporate world. 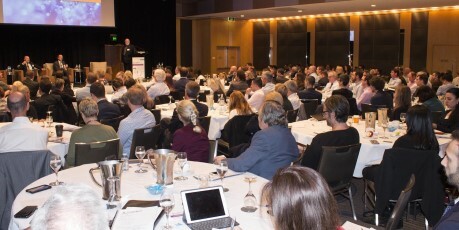 ACLA gives me the opportunity to share knowledge and experiences with other in-house lawyers and to give a voice to in-house lawyers in Australia. We are fortunate in Melbourne to be spoilt for choice for good places to eat and drink and there are too many places to pick just one. My current favourites to eat include Bistro D’Orsay, Movida Aqui and Sartis. The best professional advice I have been given is that “the role of an in-house lawyer is to help the Board and Senior Executives understand risks and make better executive decisions”. It is something I strive to achieve in my work every day. I enjoying travel and hiking. Two of my best hiking holidays were my trips to Everest Base Camp in Nepal and the top of Mt Kilimanjaro in Tanzania. When I am not travelling, I enjoy watching theatre and catching up with friends and family. Ever since I read Blackberry Wine by Joanne Harris last year, I have been fantasising about owning a vineyard in France and making my own wine! I love working closely with the business and the blend of providing legal and commercial advice.